On the way to Galanado, 4,5 kilometers from Naxos Town you will find the Naxos Go Kart "Heart Rock". 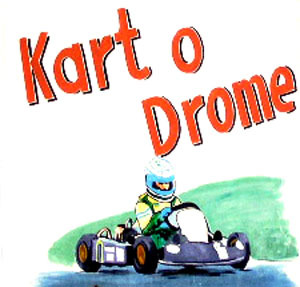 In a civilized place you can enjoy our Go Kart Plaza under the special enjoyments that a Go Kart offers you. With many fast carts, big track, music and bar with cold soft drinks. Free transportation from all over Naxos. Have fun and drive carefully.